VinGardeValise® with TSA Lock (17930). 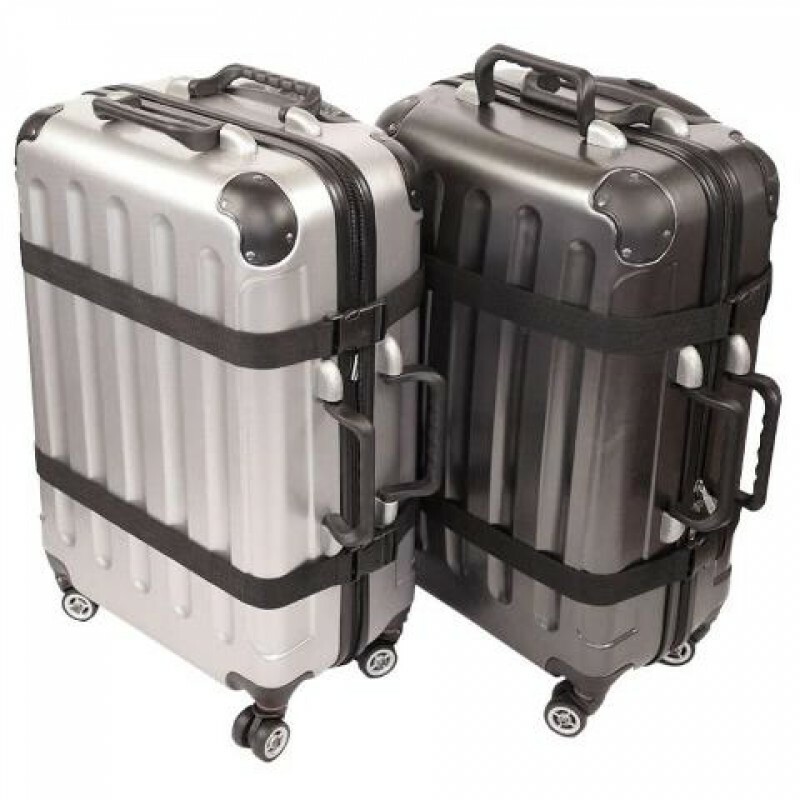 Featuring a durable hard shell outer case, the Vingarde Valise conforms to TSA, FAA and airline luggage standards with corner protectors, safety straps and a solid build. The high density foam interior is easy to configure for different bottle sizes, or can be removed for clothes, books and other travel goods. Each wine cavity can hold almost any size 750ml bottle, including Bordeaux, Burgundy, Champagne and Riesling. 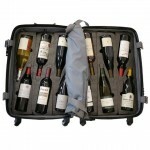 The Vingarde Valise will hold 12 Bordeaux-sized bottles (750ml), or 8 Bordeaux-size bottles plus 2 Champagne-size bottles. The VinGardeValise includes 4 removable wheels that spin 360 degrees for agile handling, even in tight spaces and on airport escalators, and a TSA-approved lock. Also includes a telescoping handle. 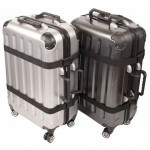 The case weighs 43-49 lbs when packed with 12 bottles of wine, avoiding overweight-baggage fees. 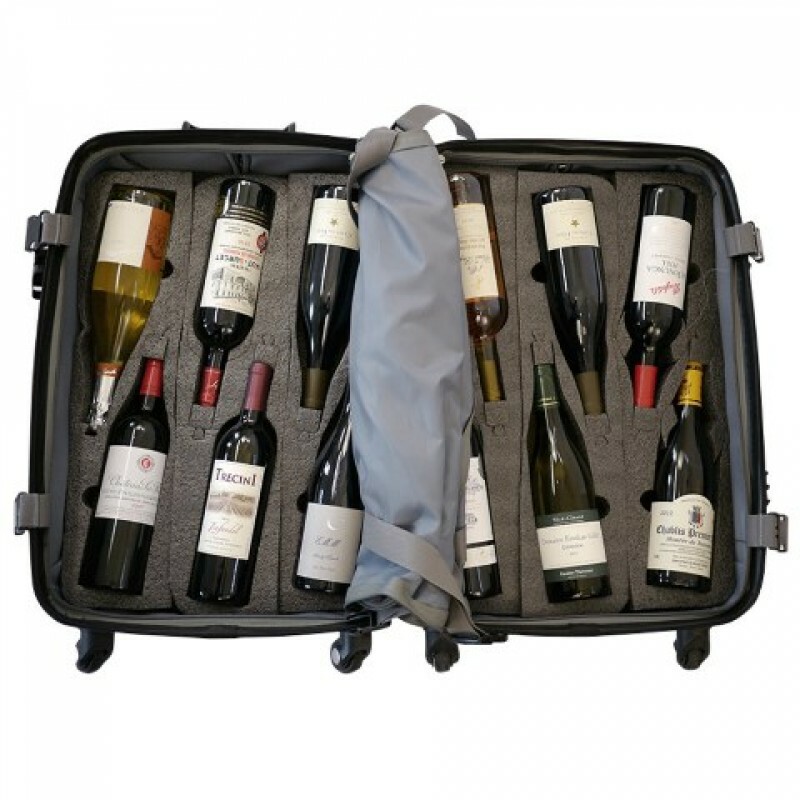 Protect a case of wine when travelling with Vingarde's Valise hard-shell wine luggage, FAA approved for check-in.